Extra rich and creamy, this Oasis Select Recipe mayonnaise features a smooth and slightly tangy taste that complements many foods. Perfect for countless classic recipes, from creamy tuna salad to decadent pasta sauce, this extra heavy mayonnaise is a versatile ingredient or stand-alone condiment. Rich in taste and creamy in texture, it easily enhances countless dishes and pairs well with spices and herbs for easy, extra bold sauces or spreads. It's even packaged in a 1 gallon container for bulk use applications. "Good quality mayonnaise. Does not take up too much space in the refrigerator. Came packaged neatly and had a tape around the lid for precaution." Spread it on breads for hearty, flavorful sandwiches or mix it into tossed salads. It's also great for blending with herbs and spices to create zesty sauces, or drizzling over crab cakes and burgers! This mayonnaise has a variety of delicious uses for your menu. It offers customers of your restaurant, salad bar, sandwich shop, or diner the traditional mayonnaise taste they know and love! With its classic recipe and velvety-smooth texture, this mayonnaise features a deliciously-balanced blend of sweet and tangy ingredients. Plus, it's extra thick and creamy, giving it excellent holding power in both hot and cold applications. This makes it ideal in prepared deli salads, from chicken and tuna to potato and egg. You wouldn't believe how much mayonnaise me and my two kids go through! My only option to stop these little buggers from arguing over the jar, was to buy three 1 gallon containers. One for Billy, one for Samantha, and one for daddy. My wife thinks it's a problem that we're eating mayo straight out of the jar, but we just can't help ourselves! 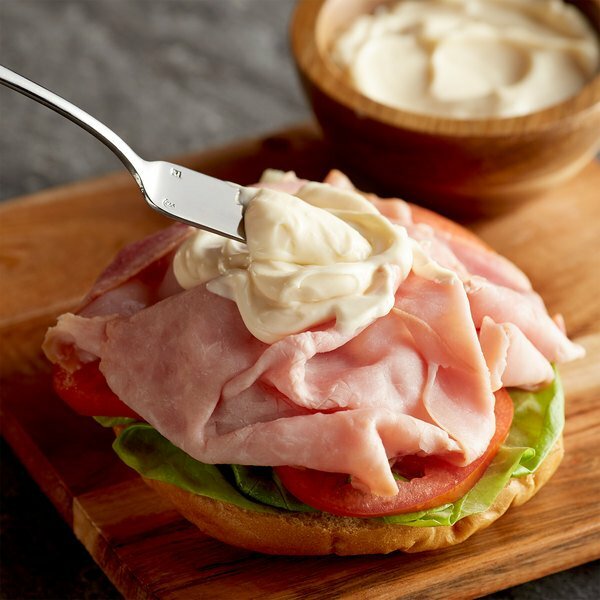 Our recipes always find a way to incorporate some sweet Oasis mayonnaise. Try adding it to your spaghetti sauce to break up the monotony of tomatoes. Mix it with peanut butter and spread it on wheat toast for a late night snack! Even dip your tater tots into the jar as a little pick me up after a long day! I recommend all of my friends order their own gallon jug of mayonnaise for home use. It's convenient, and you never run out when a recipe calls for it! 5 stars! We really appreciate when you notify of a comparable product at a better price. Although we were hesitant to try this brand we are so glad we did. We did the blind taste test and this brand was chosen 9 out of 10 times as the better tasting mayonnaise. The other vote stated that they were the same so gave both brands the same top rating. We are reordering more today. WHIP IT REAL GOOD. If you're into mass produced mayo, which is pretty gross by most advanced tastes, this is the product for you. Our customers love it, because they eat gross. But its a great price and a good product. Good quality mayonnaise. Does not take up too much space in the refrigerator. Came packaged neatly and had a tape around the lid for precaution. The Oasis gallon size container of extra heavy mayo is great for egg salad. The select recipe is really delicious and has a nice spreadable consistency. We use this as a key component to our house horse radish mayo dressing that we put on several of our sandwiches. The large size is fantastic, as is the price. 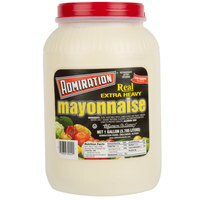 Mayonnaise is a must have condiment/ingredient in the kitchen. We used this Oasis select recipe mayonnaise in many recipes we have. It tastes same as other well known brands out there. Do you order from your local distributor and fee like they really don't care and there prices your paying provide you with zero value. Well Webstraunt is the answer. Oasis Mao is as good as any major brand in the market. 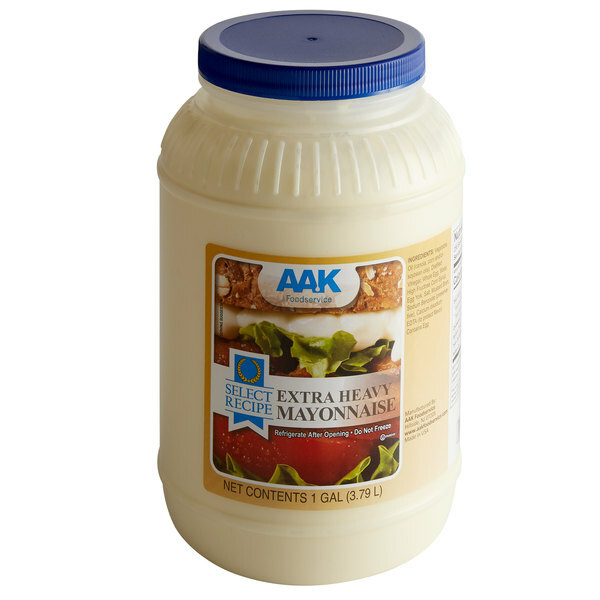 This extra heavy mayonnaise has a good thick consistency that great for dressings and mayonnaise based salads. The flavor is good as well. 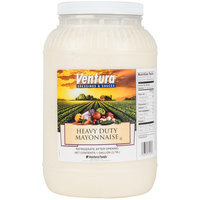 Just know if your buying for home use this is a lot of mayo. nice thick heavy mayonnaise. perfect for our subs at the diner. price is better then i get in big box store and shipping was fair. This reminds me of the taste of the mayo my Mom used to make at home. I love this mayo and for the price you cannot beat it. It has really spiced up my tuna salad and my potato salad. Even my sandwiches are much better with this mayo. 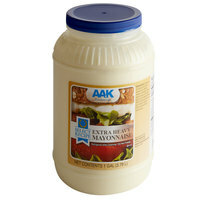 I love this mayo, it tastes delicious , has the right consistency and price is great. However be aware this is a very big jar, if you use it on sandwiches at home, you might would prefer a smaller household jar. But is you own a business or use a lot of mayo then this product is for you. Great mayo! 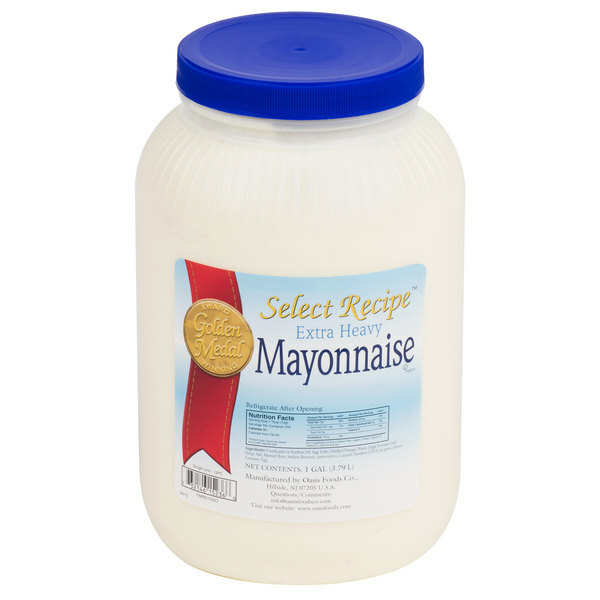 This is very very heavy good quality mayo which can stand up to any recipe that requires mayo. I love using this mayo. I keep coming back for more. this mayonnaise is on par, flavor wise, to any of the better name brands and i really like the thickness. its not super thick which is good. and for this amount, this is a great deal. The taste rivals the brand name grocery store ones that advertise. The price and quantity are an extremely better value. This is a good buy. 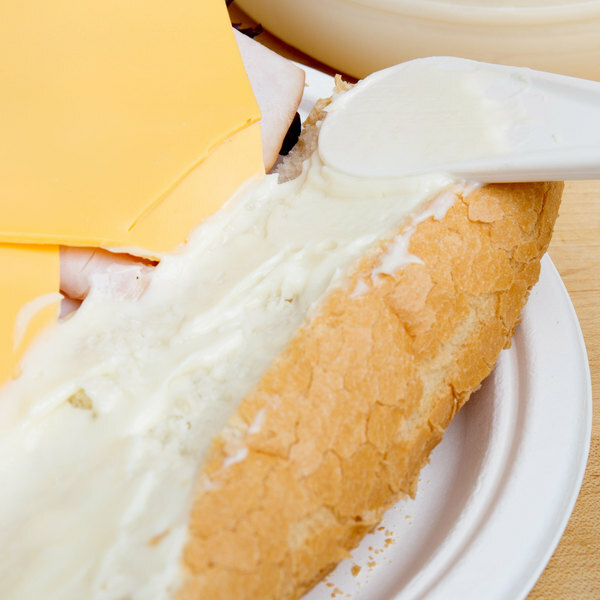 We eat a lot of salads that require 1-2 cups of mayo. This is perfect for cooking for home use, but if you use it on sandwiches, you still need a smaller household jar.